The key to any successful mobile food business is simple: profits. As a food truck owner, you need to make money to survive, and in order to make money, you need to know accounting basics and systems to control cash flow, reduce losses and maximize your profits. Keeping track of your finances will put you in a good place to monitor your cash flow and make the most of your business in the long run. 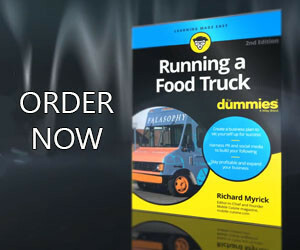 Managing cash flow means tracking all the cash that is coming in and leaving your food truck business. With sales and expenses always playing a balancing act, estimating future cash flow can be a guessing game until you get the feel for your roaming restaurant’s business patterns, or when the money comes in versus when it goes out. Essentially, you want to strive for more income than expenses. When you are able to bring in more money than you spend, you are maximizing your net income, and overall your profits will grow. Recording your cash flow, including income and expenses, is critical to your food truck’s accounting procedures. Your income includes all cash and credit card sales received. Outgoing expenses should be recorded with the help of receipts and invoices. Your Point of Sale (POS) system typically keeps track of all credit card and cash sales, and all receipts should be filed and recorded in a Profit and Loss document (P&L). It is also essential to keep a close eye on your inventory counts. Your mobile food business’ inventory includes the supplies, products and ingredients you have on hand to prepare and serve food and beverages. Inventory is an important factor in managing business accounting. This is because it represents an investment in food and supplies that are needed for you to make a profit. You should always consider your inventory as cash in a different form, and count it consistently and thoroughly. Your profit and loss statement, or P&L, is much like an income statement for the food truck. This document serves as a report to summarize income, expenses and inventory, illustrating your business’ total profits and losses over a specific period of time. It is best to prepare a P&L each week if at all possible. This will make it easier to track numbers and comparing reports from month to month and even year to year. A P&L statement includes information relevant to your cash flow, including sales and labor expenses. Most food truck operations do not have in-house staff of accountants available to do their accounting leg-work. Because of this many use computer programs to help record their financial information. The best software includes a Point of Sale (POS) system, financial software, and the software to integrate the two. Fully-integrated systems like these can take the burden off you and help you fully analyze your financials by running comprehensive reports. 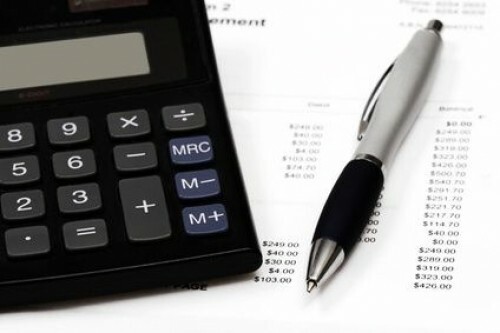 Do you have any suggestions for our accounting basics list? We’d love to hear your thoughts. Feel free to share them in the comment section below, Tweet us or add them to our Facebook page.